Dr. Lekha Pathak is the Director and Head of the Cardiology Department at Nanavati Super Speciality Hospital, Mumbai, India. She has an experience of 46 years. She completed MBBS from Netaji Subhash Chandra Bose Medical College, Jabalpur in 1965, DM - Cardiology from King Edward Memorial Hospital and Seth Gordhandas Sunderdas Medical College in 1971 and MD - General Medicine from Netaji Subhash Chandra Bose Medical College, Jabalpur in 1968. She has done over 10000 Interventional procedures for past 10 years. 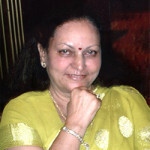 Dr. Lekha Pathak has been awarded with Life time achievement award by Ex. President APJ Abdul Kalam for outstanding contribution in the field of Cardiology 2008, Priyadarshani award 2008, Doctor of Science (DSc) by University of Loyola, Chicago, USA 2012 and many more. She is a member of Maharashtra University Of Health Sciences, Padmashree Dr. D Y Patil University - Member Management Council, Association of Physicians of India (API) and Indian College of physician. Some of the services provided by the doctor are: Carotid Angioplasty and Stenting, Coronary and Non-Coronary Interventions, Angioplasty and Stenting, Interventional procedures and Minimally Invasive Cardiac Surgery.